Inside: A guide for teaching children the decision making process steps to help them make responsible decisions. Have you ever been in a store with a child and asked them to pick out a treat? It can be like pulling teeth! Granted, they have many racks of chips, cookies, and other assortment of empty calories to choose from. Then factor in the healthier options you want to direct them towards. I get why the decision can be hard for them. To be completely honest, it’s a tough decision for me too. Being indecisive about snacks is one thing. However, kids have to make a wide range of decisions on a daily basis. These decisions include things such as choosing how to behave, what friends to spend time with, or what clothes to wear. It can get pretty overwhelming if children aren’t armed with the right tools to make good decisions. Teaching kids how to make decisions is a valuable life skill for children to have. 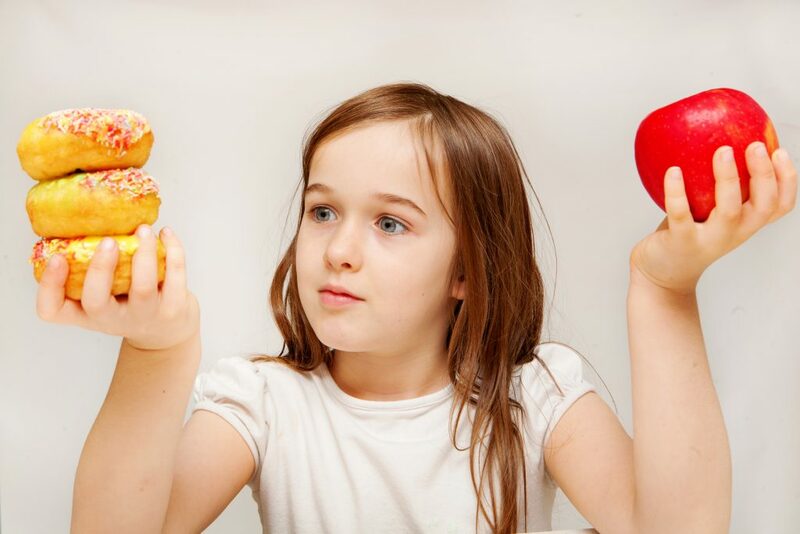 As kids get older, the kinds of decisions they make become increasingly more complicated. For example, some kids have to decide what college they want to go to, if they want to go to college at all, or what career path they want to take. When children learn the decision making process steps, they make more responsible decisions. This prepares them to make big decisions that impacts their future. 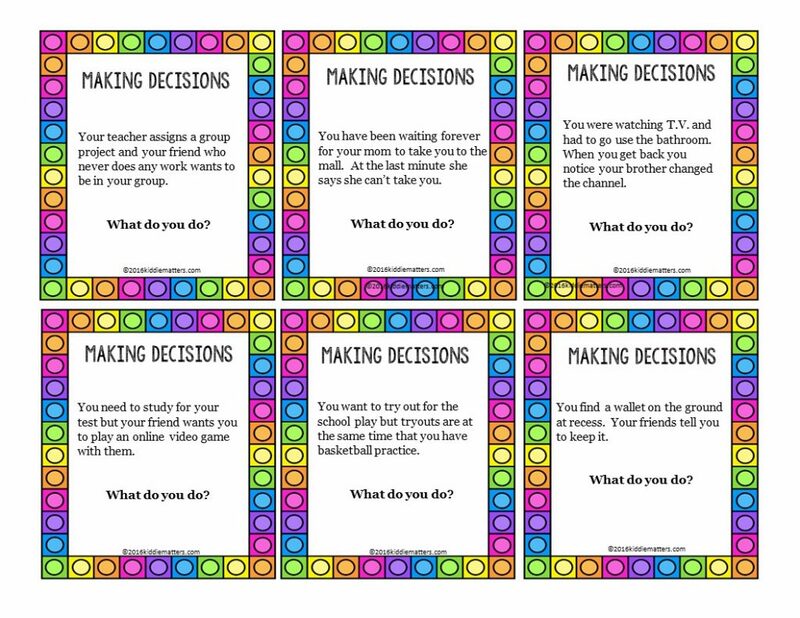 I’ve included a free printable to help kids practice the decision making process steps. Children fall into the ‘No Decision’ trap when they let their peers or someone other than a trusted adult make decisions for them. They let others tell them what to do instead of making their own decisions. Many times this happens because children are afraid they will make the wrong decision. They doubt themselves and look to others to decide for them. Kids who fall into the ‘No Decision’ category need to be reminded that it’s OK to make mistakes. Making mistakes provides an opportunity for learning and growth. Snap decisions happen when children make decisions without properly analyzing the situation. They don’t consider the consequences of their actions and they react to what’s going on. There are times when snap decisions are OK. Like say choosing between chips and yogurt. That’s not a life altering decision for most people (unless of course you have food allergies or nutritional concerns). Generally speaking, making a choice between the two foods doesn’t require you to weigh the pros and cons. It’s not a decision that you have to think through in depth. However, it’s not a good idea to make a snap decision about where you want to go to college. There are many variables and options to consider. College is an investment and you want to make sure you make the best choice for you. Kids prone to making snap decision benefit from learning to stop and think before taking action. Responsible decision makers think about the consequences of their actions and how it will affect them and the people in their lives. It’s important that children learn to make responsible decisions on their own. Sometimes kids need guidance from trusted adults to make good choice. However, there will come a time when they need to rely on themselves to make the right choice. This is when knowing the decision making process steps comes in handy. What Are The Decision Making Process Steps? 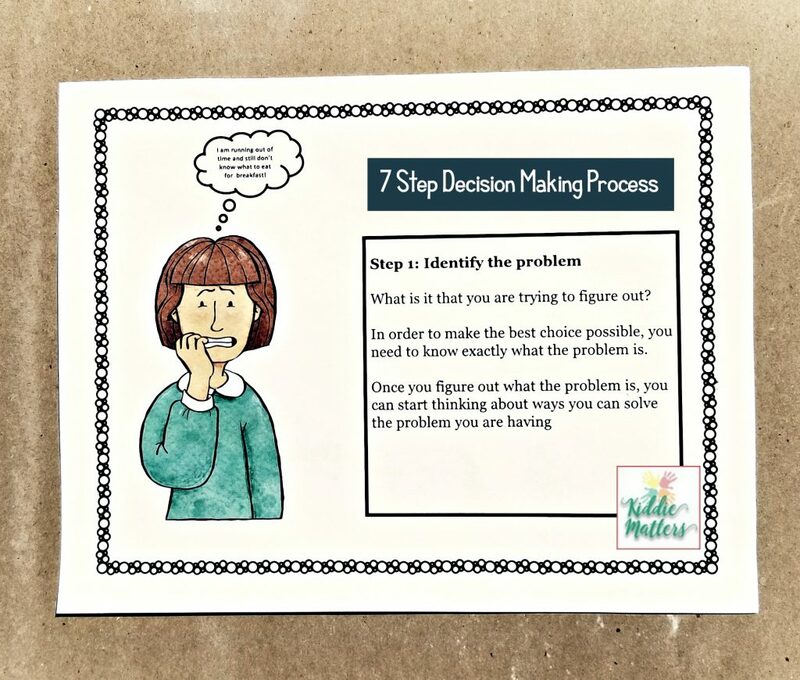 The decision-making process steps teaches children how to identify the problem, gather information, and come up with possible solutions to a problem. When children follow the decision making process steps, they are able to make deliberate and thoughtful decisions. 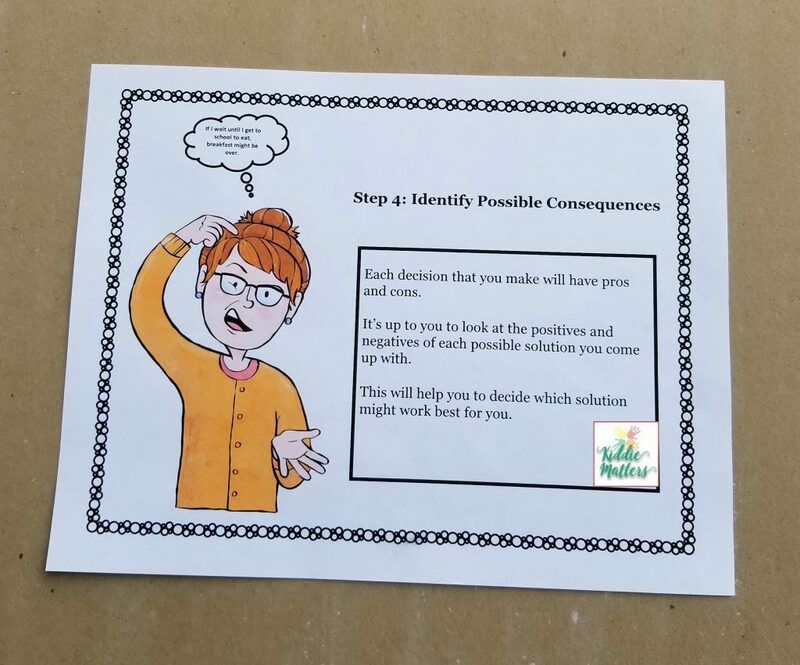 Since we expect kids to make good choices the majority of the time, we need to teach them the decision making skills that will allow them to do exactly that. Why should this problem be solved? Is it important? Who does this problem affect? Is there a deadline on how much time I have to solve this problem? In addition they might have to get relevant information from books, videos, online, other people, etc. During this step, children, children begin listing possible solutions. Initially, they might think that coming up with multiple solutions makes no sense. However, doing this allows them to think about the problem from different angles. 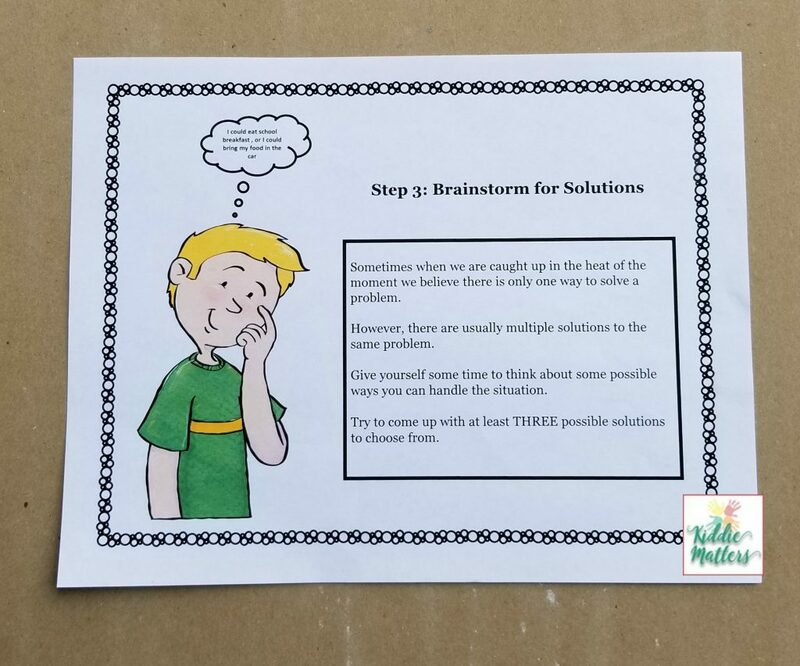 Now children will examine each option in the Step 3 to determine if any of the alternatives would solve the problem identified in Step 1. As they go through this process, certain options will ‘feel’ better than others. Next, they will prioritize the different options and list them in order based on the solution they believe will best solve the problem. Once children thoroughly evaluate the alternatives, they are ready to make a choice. The choice may be the solution at the top of their priority list in Step 4. It could also be a combination of some of the alternatives they explored. 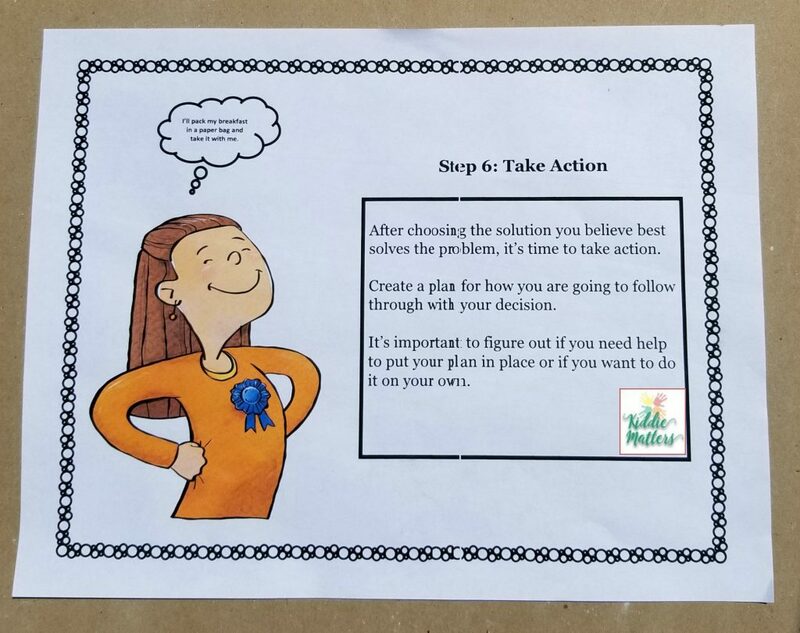 Now children are ready to take action and implement the decision they believe best solves the problem. Having a plan of how they are going to follow through with their decision is helpful. Also, children can determine if they need help to implement their decision or if they want to do it on their own. In this final step, children consider the results of their decision. They make a determination as to whether or not their decision solved the problem. If it did not solve the problem, they can opt to try one of the other options they brainstormed in Step 3. If they believe non of those alternatives will work, they can go back to Step 2 and gather more relevant information. 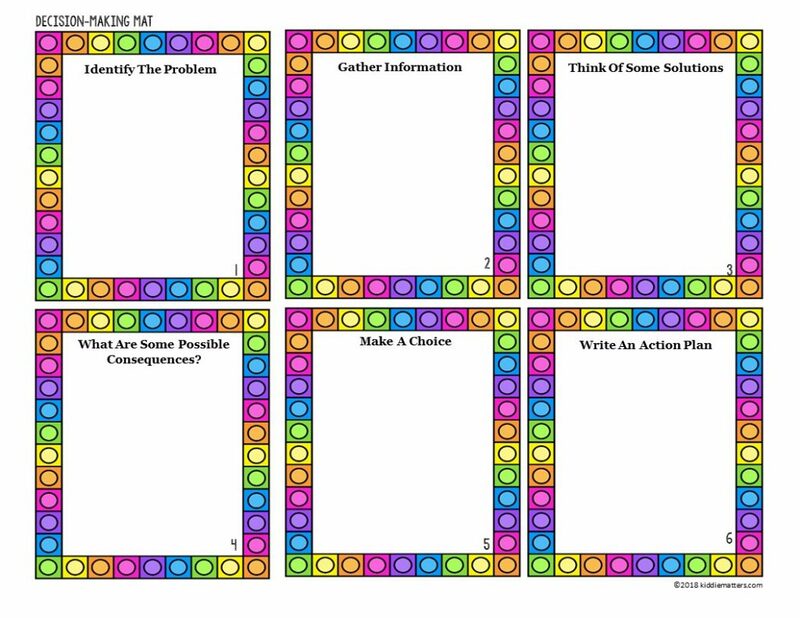 The following free printable is a sample taken from the Decision Making Workbook and Activities Resource. 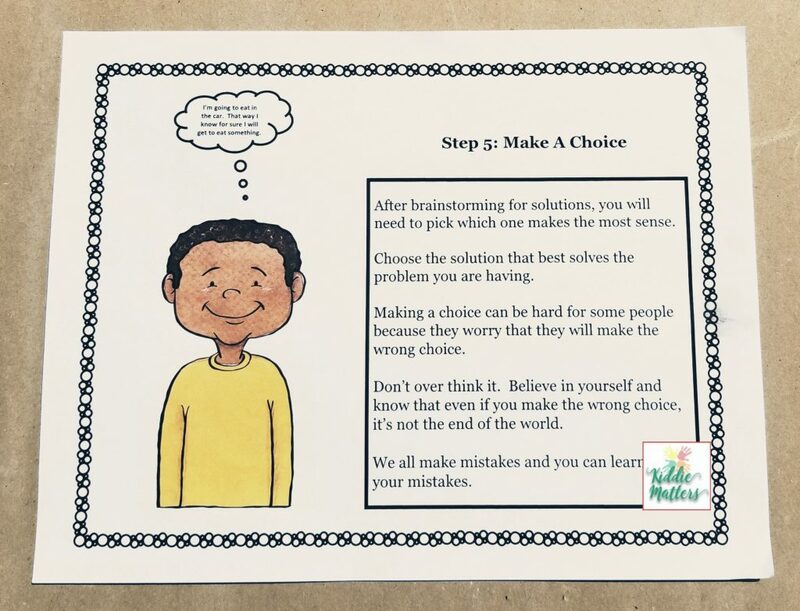 It is a Decision making graphic organizer to help children walk through the steps of making good decisions. In order to download, please subscribe to our monthly newsletter, Social Emotional Learning Toolbox. When you subscribe you get VIP access to our growing library of free resources which includes this free printable. Also, you can unsubscribe at any time. 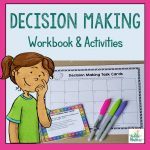 This workbook explains the decision making process steps to children. 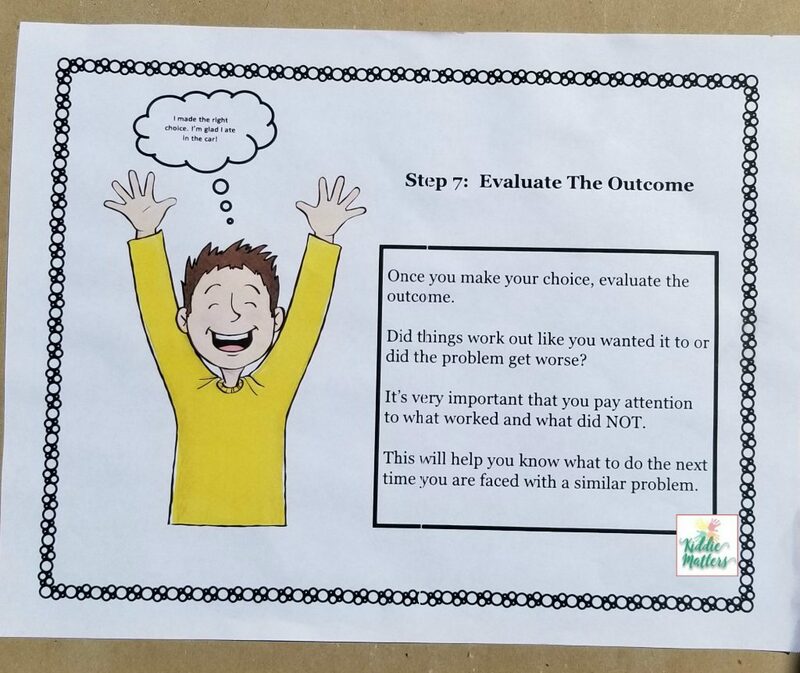 Children get to complete a decision making exercise to help them solve a problem they are currently having using the steps outlined in the workbook. 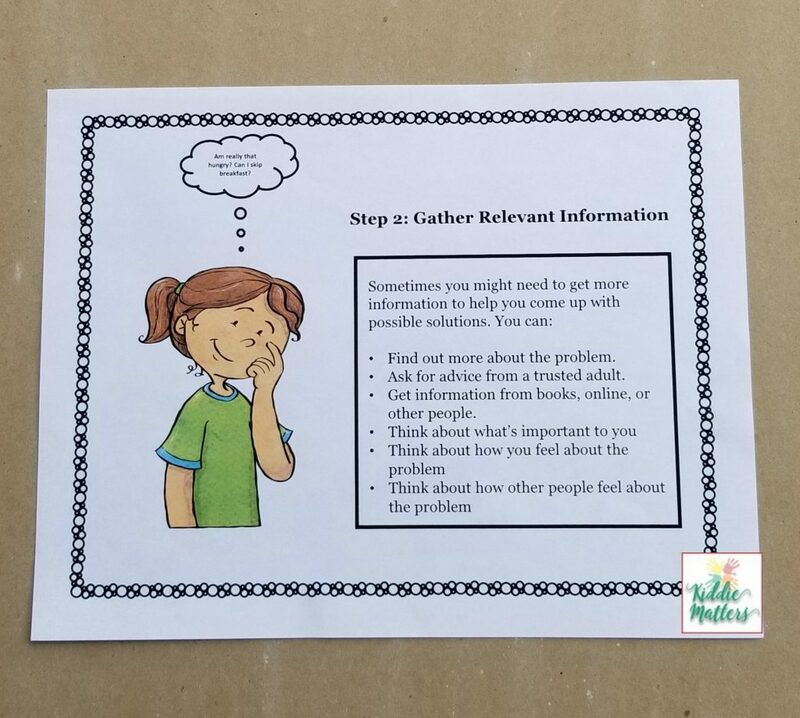 This resource also includes discussion cards that ask children to use the decision making process steps to come up with solutions to problems typically faced by children at home, in school, with peers, and online. In this book, Joy Berry lays the ground work for making good decisions and solving problems. It’s Your Decision For Teens helps teens understand the decision making process. It offers common sense approaches to help teens make initial decisions about their education and the field of study they choose, the best career choices for them, their relationships, the quality of their health and wellness, and how they get to spend their free time.